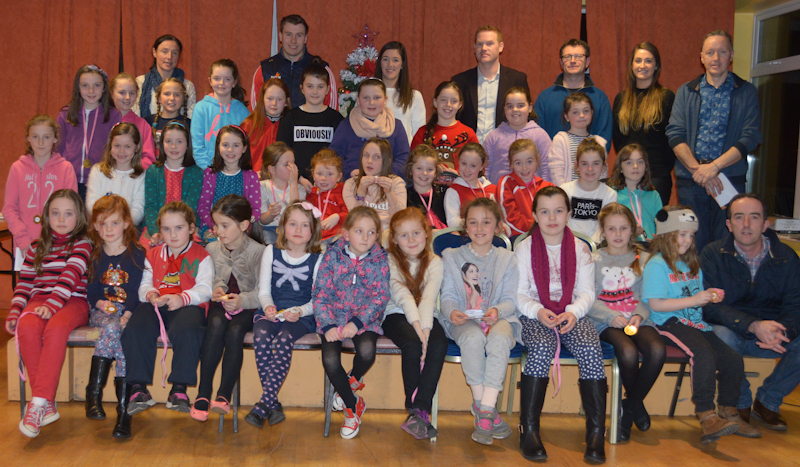 Castlebar Mitchels Ladies GAA club had their presentation evening on Sunday 13th December in An Sportlann. A large crowd turned out for what was an enjoyable evening and saw the underage players from the club presented with their medals and trophies. 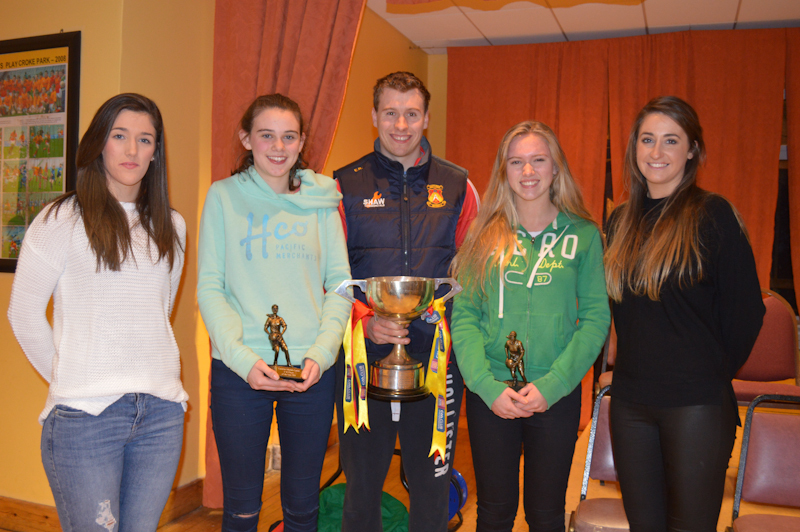 Orla Conlon and Lisa McManamon, of Castlebar Ladies and Mayo Ladies Senior team, along with Eoghan O'Reilly of Castlebar Mitchels, and also a recent addition to the Mayo Senior squad, were in attendance to hand out the awards. Present also were the league and county championship trophies recently won by the Mitchels and the Shane McGettigan Cup as Connacht Club Champions. 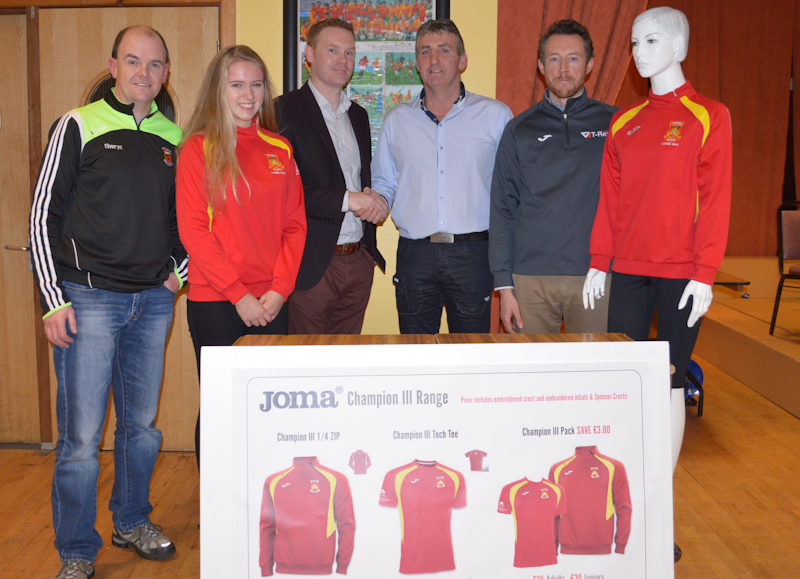 The night was extra special for the club as we were delighted to announce that Conway Motors have just come on board as club sportswear sponsor for the underage sides and the new club gear was available to order on the night from the T-Rex stand. We thank Padraic Conway of Conway Motors for this very generous sponsorship. 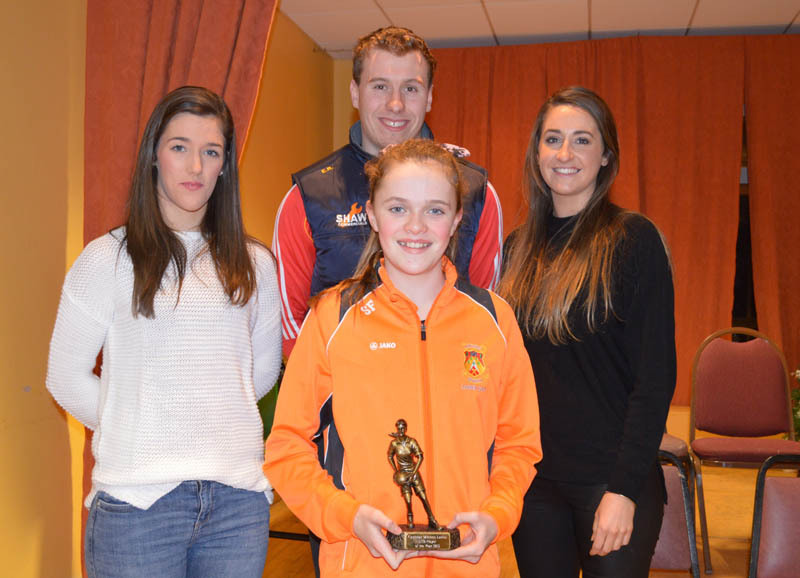 U12 Player of the Year Sarah Fallon, being presented by Orla Conlon, Eoghan O'Reilly and Lisa McManamon. U16 Players of the Year (l to r) Orla Conlon, Saoirse McCabe, Eoghan O'Reilly with the Shane McGettigan Cup, Dearbhla Keane and Lisa McManamon. 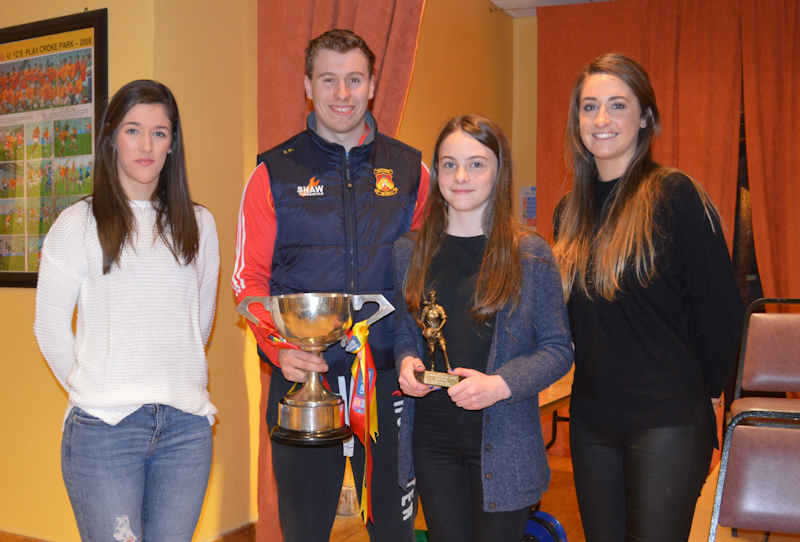 U14 Player of the Year Evanna Lyons, being presented by Orla Conlon, Eoghan O'Reilly with the Shane McGettigan Cup and Lisa McManamon. Under 14's County C Champions, pictured with mentors Ronan Kennelly, Fintan Keane. Also Orla Conlon and Lisa McManamon. Missing are Mary Brown and Colette Tuohy. 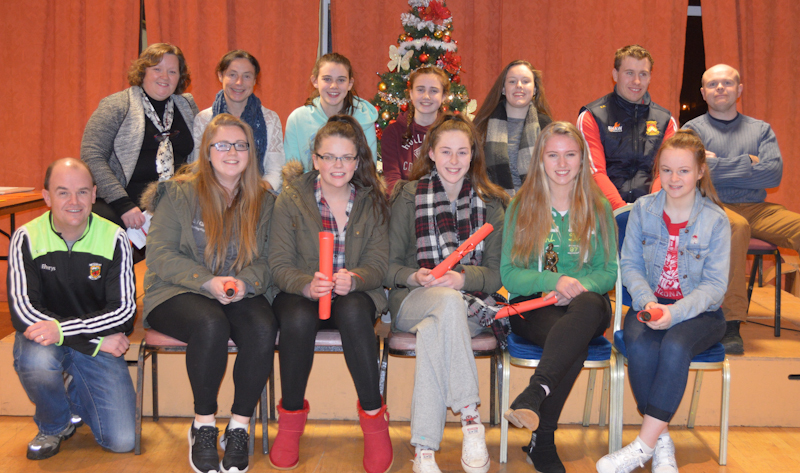 Under 16's pictured with mentors Fintan Keane, Mary Brown, Colette Tuohy and Ronan Kennelly. Also Eoghan O'Reilly. 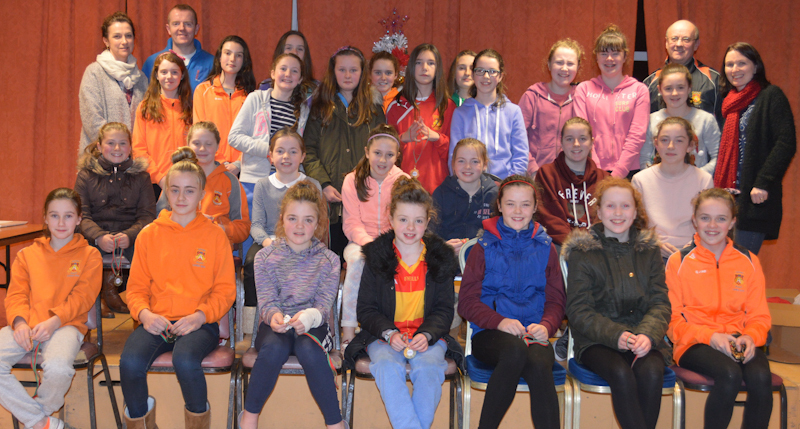 Under 12's pictured with mentors Anita Gibbons, Mike O'Boyle, Terry Pattinson and Siobhan Henehan. Missing Brendan Cunningham & Tom Gibbons. Under 10's pictured with mentors Colette Tuohy, Padraic Conway, Sean Higgins, Padraig Diskin and Padraic Scully. Also Orla Conlon, Lisa McManamon and Eoghan O'Reilly. 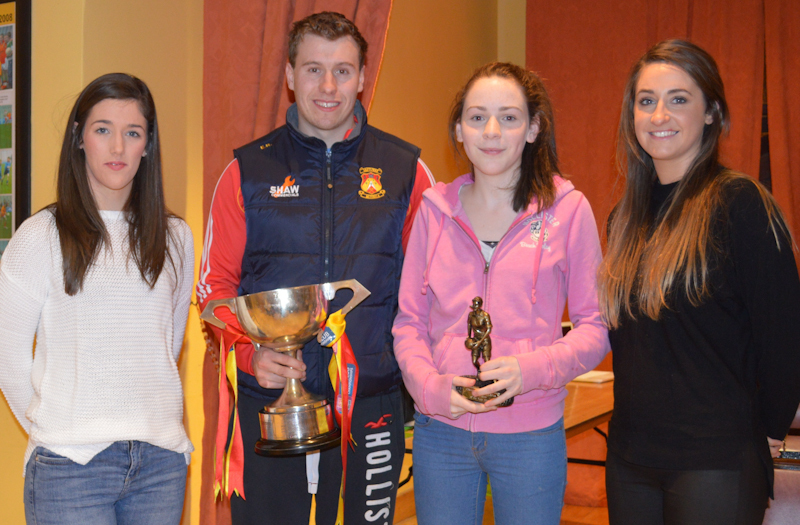 U13 Player of the Year Lauren Concannon, being presented by Orla Conlon, Eoghan O'Reilly with the Shane McGettigan Cup and Lisa McManamon.